March reminds me of exam time – that dark time in school when the only silver lining is the impending summer vacation. Summer vacations call for a family trip, which to most Indian families happen to be the only trip they can spare time and money for. So obviously a lot of research goes into selecting the best summer holiday destinations in India every year. We just made the task a little easier for you by doing all the research and curating the best summer vacation places in India for 2019 which are particularly suited for family trips. How to choose a summer holiday destination for families? In India, family trips do not just mean traveling with your kids, it also means traveling with your parents and even grandparents. This adds to the complexity where you have multiple layers of generation gap to cater to, and everyone needs to feel comfortable about it. The other important factor is of course budget. I grew up in a family where travel for leisure was seen as a luxury only the rich could afford. Thanks to my parents, today I have been able to make a life for myself where money is not what stops me from taking a vacation. But the struggle with the budget is still a real thing when it comes to planning trips with big families. The third factor is, of course, the climate. While in Europe, summer calls for sunbathing in the beaches, in India, it calls for escaping to someplace cooler. The humidity near the coastline and the burning temperatures in interior India makes life miserable in the cities. Which is why, beaches and desert take a backseat, and people flock into the hill stations. Which brings us to the 4th factor – crowd. In India avoiding crowd completely is nearly impossible unless you go on solo trips to obscure lands. Family-friendly summer destinations in India tend to pull crowd because they have all the amenities, accessibility and great options for food and accommodation. So considering all these factors we came up with the top 5 family holiday destinations in India for the summer of 2019. Katra, located in Jammu Kashmir is one of the most important pilgrimage sites for Hindus. Katra Vaishno Devi, as it is more popularly called is where the beautiful ancient cave temple of Goddess Vaishno Devi stands at the foothills of Himalayas. Vaishno Devi Mandir is different from other Hindu temples as it does not have any picture or idol. Rather, it has natural rock formations inside the cave temple that are considered to be a manifestation of Goddess Vaishno Devi. You need to trek 12 km uphill to reach the temple, but there are helicopter services also. The site attracts almost 1 crore tourists every year. While a large majority of them are Hindu pilgrims, many photographers and adventurists are attracted to the site for its spiritual and natural beauty. Elderly parents would love the spiritual retreat while it will also be a great way to introduce your kids to a trekking experience. 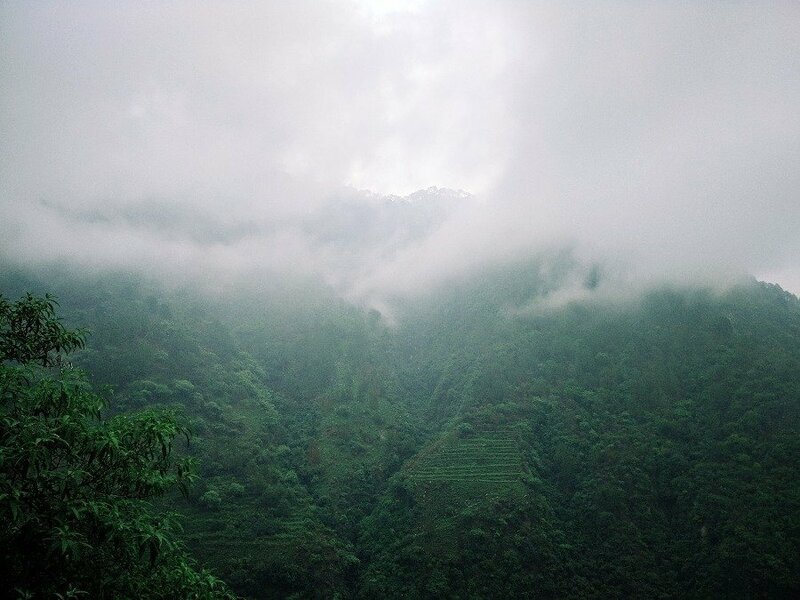 The cool climate even in the summer, the lush greenery around and the grand mountains are a beauty to behold. The place is also of geological significance as it is estimated to be a million-year-old. Throughout the trek, you will find cafes and eateries where you can enjoy a meal with your family. Since it is such a busy tourist place which is frequented by people of all ages, there is no dearth of amenities around. There are many family-friendly hotels in Katra starting from Rs.1000 per night and many places to visit other than the shrine. Banganga and Sanjhi Chhat are other notable places which you can visit in Katra. Budget for a 5-day trip would range between Rs. 20000-Rs.25000. Meghalaya is a beautiful state of India nestled in the Garo, Khasi, and Jaintia hills. It is one of the least explored places in India but has a wealth of experiences to offer. The progressive culture, great music, environmental consciousness, and exemplary cleanliness are some of the areas where the state has a lot to teach the rest of India. 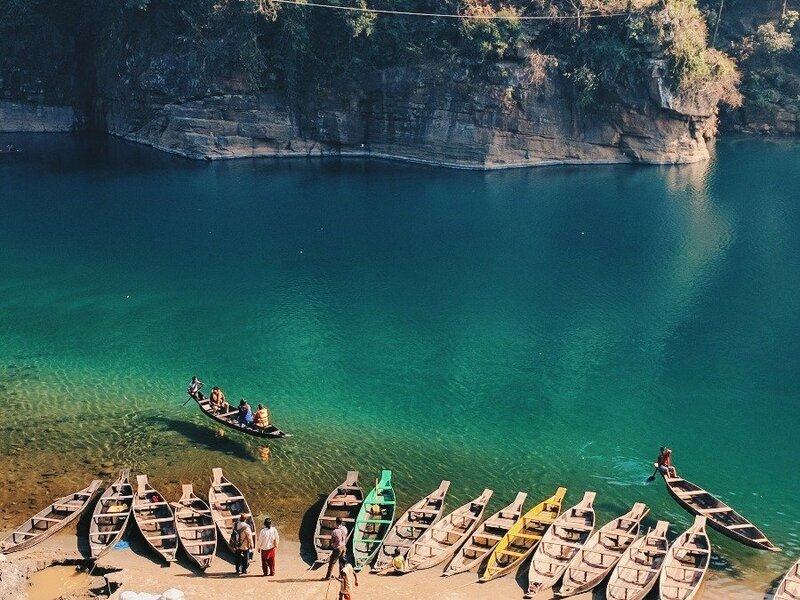 Go on a family trip to Meghalaya and explore a new culture. Start your trip with the capital Shillong, which is resplendent with natural beauty. Enjoy the green vistas on a road trip from Shillong to Mawlynnong, which are just 90 km apart. This plastic-free village has set an example of environment-friendliness. It was recognized as the cleanest village in Asia and is often called “God’s own garden”. While the homestays here are a little expensive, it will be a good experience to spend one night there. If you are on a tighter budget you can restrict yourself to a day trip. There are many other natural and man-made wonders in Meghalaya. Limestone caves, perennial waterfalls, pristine lakes, forests, national parks – this tiny state has everything. You will find living root bridges which are man-made wonders of Garo and Khasi tribes. The world’s only double-decker living root bridge can be found in Cherrapunji. Coming back to natural wonders, take a boat trip with your family at the transparent Umngot river of India, flowing through Dawki, a border town between India and Bangladesh. Located 131 km from the capital city Gangtok, Pelling is arguably the most beautiful town in the state of Sikkim. Pelling is an attractive destination for the mountaineers who use this as a base camp for challenging trekking expeditions. 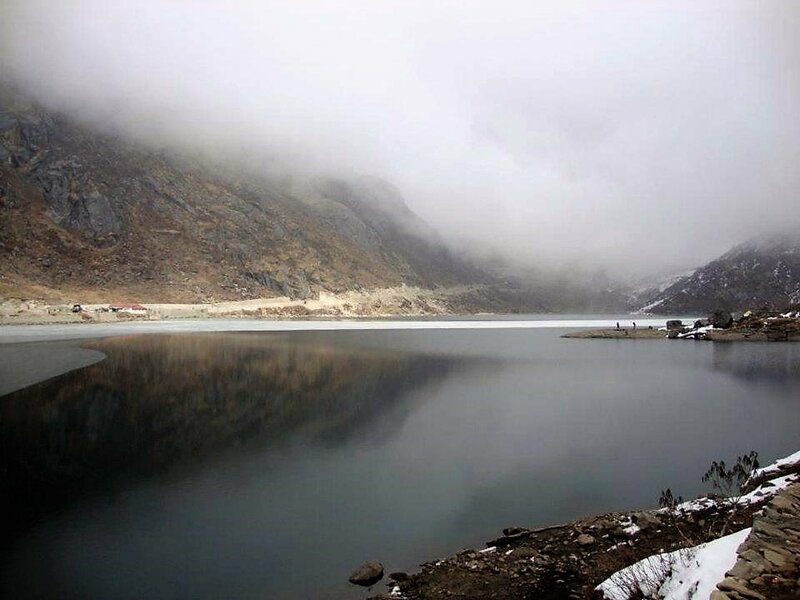 There are regular buses from Gangtok to Pelling and many jeep services to other nearby towns. Overall, it is a budget summer holiday destination which offers a plethora of experiences. In Pelling, you will experience the Tibetian culture and visit some beautiful Buddhist monasteries. Other places to visit when in Pelling are the rock garden, the spectacular Kanchenjunga falls, the Change waterfalls and the Khecheopalri Lake. You can also visit the ruins of Rabdentse Palace ruins to quench some thirst for history. There are different types of accommodation in Pelling – from budget hotels to homestays as well as big resorts. There are sufficient public transport and local tour companies for budget travel. Even 4-star hotels can be booked withing Rs.3000 per night. Budget hotels with standard facilities are available from Rs. 1000 per night. Overall, a 3-night,4-day Pelling family trip can be done within Rs. 15000(excluding airfare). Munnar is the ruby in the bejeweled crown of Kerala, God’s own country. The queen of hills in the Western Ghats is known for its unparalleled green vistas, the rich diversity of flora and fauna, the lakes and cascades. It is my favorite place in South India and an excellent summer holiday destination. Due to the high altitude and greenery, the climate remains cool even when many other hill stations in south India are not. For example, Wayanad is another amazing hill station in Kerala, but I will not recommend it for summer vacation because it would be hot. Munnar, on the other hand, has a very soothing and temperate climate. While you will not need light woolens as you would in Pelling, you will not perspire either. 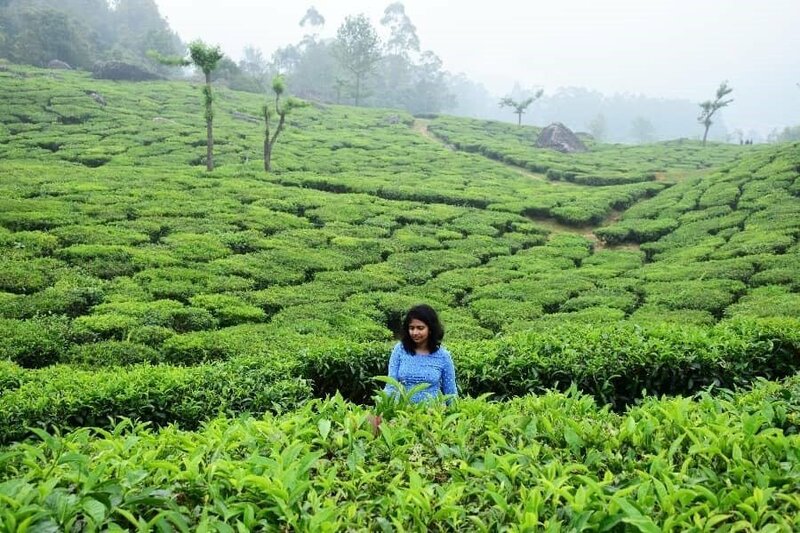 Take your family to the bustling tea gardens and tour of one of the many tea factories of Munnar. The advantage of visiting Munnar in summer is that you will get a clear sky and clear view of the mountains which are otherwise covered in mist. It is also a great time to spot wildlife in Munnar. Visit the Eravikulam national park to spot the endangered Nilgiri tahr and walk freely in the hills. You can also go on a safari in Thekkady tiger reserve, which is just 93 km away from Munnar. You can engage in boating and kayaking in one of the many beautiful lakes of Munnar – Anayirankal lake, the Matupetty dam etc. Visit the Top station, which is the highest point in Munnar to get a clear panoramic view of the forest in summer. The nearest city with airport accessibility is Kochi which is 132 km from Munnar and has frequent bus service. You can also visit Munnar by an overnight Volvo bus from Bangalore. If you really love the sea then Kasargod Kerala is a great summer destination in India for you. It is one of the lesser known gems of India and has a relatively cooler climate compare to rest of the coastline. Occasional rainfall in the summer keeps the weather relatively calm. Kasargod is famous for the Bekal fort, which is the largest medieval fort in Kerala. The fort overlooks the Arabian Sea and definitely a must-visit place with family. You can also enjoy a great time on the rocky beach of Bekal. Among the sandy beaches of Kasargod, the Kappil beach surrounded by coconut groves is the most famous. There are many other beautiful beaches in Kasargod to bathe, play and watch the sunset with your family. Another highlight of Bekal other than the fort is the Valiyaparmba backwaters. It is a beautiful waterway where you can stay in a houseboat or simply take a backwater ride. Viyaparmba is actually a small island surrounded with trees and the sparkling blue backwaters. The serene beauty of the place makes it ideal for couples and families. It is a cheaper and less touristy alternative to Aleppey. Kasargod has some amazing resorts like the Malabar ocean front, Lalit and the Taj Vivanta, all of which are available at reasonable range (considering they are 4-star and 5-star resorts). For budget travel, you can book hotels and homestays at Bekal starting from Rs.1800 per night. The food is awesome with fish being the specialty of this coastal town. So these are our picks for the best summer holiday destinations in India suitable for a family trip. Make sure you make good use of the upcoming summer vacation for one of these stunning destinations. Subscribe to our blog for weekly updates and more such travel resources. India has so many amazing vacation destinations for families! That beach in your photo is just stunning. You don’t even have to leave the country to have all sorts of beauty. I haven’t yet been to India, but your post is making me want to go! I will never grow tired of beaches, like in Kasargod. However, Munner and Katra are both high on my bucket list. I enjoy touring tea factories and the spectacular view mountains provide. I adore Munnar with the beautiful tea plantations. We spent a few nights there in 2017 and I have always wanted to return. Thekaddy was also beautiful and the Tiger Reserve, unfortunately, we did not see any tigers that day. It looks like we have many more destinations to add to our next visit. It seems India is a great travel destination for people of all ages. It’s very surprising to hear that Meghalaya is not only beautiful, but also very clean. From all I’ve heard, India is very dirty, despite being so culturally rich. For me, the quaint Himalayan town of Pelling looks the most appealing. Great post! I have been contemplating going to India but can only go during your summer which I simply can’t do as I doubt I could handle the heat. So this post is perfect and escaping to the mountains is something I’d love and I can’t imagine anything more beautiful than going to the foothills of the Himalayas. Why is Meghalaya the least explored place in India when its so stunning??? The entire north east India has been off the tourist maps for various reasons related to border tensions, terrorism etc. But they are safe now. That’s a fantastic list. It’s a shame that I’ve only been to 1 of these places – Munnar. I have some very fond memories of the little town. Meghalaya is high up in my wish list. Hope I’ll get to go there soon. I am feeling intrigue of visiting Meghalaya and Munnar! Meghalaya have that beautiful water bodies, and Munnar have that huge greenery (those are tea farms, right?). I like this combination and I know that I would learn a lot while having a week of R and R.
I’ve only just been to Katra from this list but I’ve been suggesting to my family to do a trip to Meghalaya some time. This summer, we plan to do yet another family trip and I really wish we can all agree on Meghalaya this time! As you rightly put it, Indian family holidays can mean several generations at once and it isn’t always easy to find a vacation that suits everyone’s tastes. Pelling also looks lovely by the way! I use to not imagine having summer vacations in India due to the extra hot summers there. But the places you’ve listed are something which are great to visit during summers to beat the heat (specially in southern part of India) . I would love to visit Maghalaya and Munnar if I ever come to India in summers. Thanks for recommending these places. Oh both Meghalaya and Munnar beautiful in their own ways. Thanks for your comment. This is another great list with vacation destinations in India! I visited Munar and Meghalaya but never heard about Pelling before. I’ll be visiting India again this summer and Pelling will definitely be on my list. Thank you for sharing! 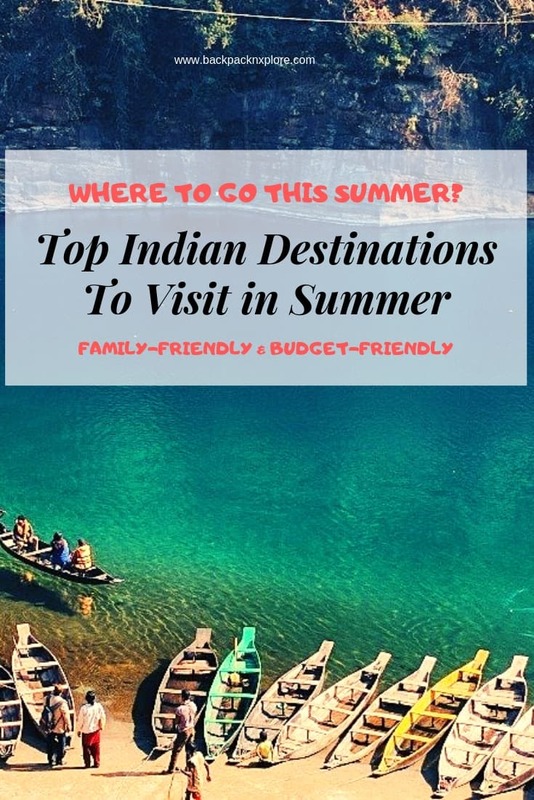 Thanks for a timely post as summer vacations have started in India and all these hill stations are very cool options to chill out with family. Munnar is top on my choice due to its lush green tea estates. I have never been to North-East and therefore I would love to visit Meghalaya as I always read beautiful things on it.